The latest trailer of “Assassin’s Creed” starring Academy Award nominee Michael Fassbender reveals a much more dangerous world as it puts the audience in the middle of an ancient war between two age old factions - the Assassins, who fight to protect free will among the populace, and the Templars, who aspire to impose a New World Order. Throughout history, these two groups have been fighting for the fate of humanity. In the present, the Templars are close to realizing their dream of dominion by using ancient artifacts (created by an extremely evolved First Civilization) known collectively as Pieces of Eden. Among other things, these artifacts have the power to optimize the human mind. 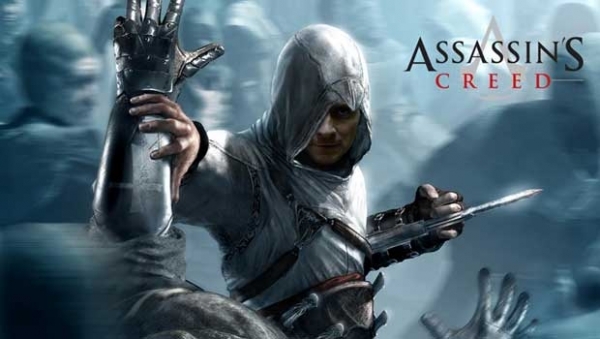 Based on the highly-successful and popular Ubisoft video game series, “Assassin’s Creed” sees Fassbender plays dual roles as Callum Lynch, a Death Row convict spared execution by the Templars, as well as his 15th Century ancestor, Aguilar de Nehra, a Master Assassin who fought the Spanish Inquisition in his quest to keep a sacred artifact out of Templar hands. Through a revolutionary technology that unlocks his genetic memories, Callum Lynch (Fassbender) experiences the adventures of his ancestor, Aguilar, in 15th Century Spain. Callum discovers he is descended from a mysterious secret society, the Assassins, and amasses incredible knowledge and skills to take on the oppressive and powerful Templar organization in the present day. “Assassin’s Creed” also stars Academy Award winner Marion Cotillard (“The Dark Knight Rises,” “La Vie en Rose”), Jeremy Irons (“Batman v Superman: Dawn of Justice”), Brendan Gleeson (“Harry Potter” movies) and is directed by Justin Kurzel (“Macbeth”). “Assassin’s Creed” opens in Philippine cinemas nationwide on January 8, 2017 from 20th Century Fox to be distributed by Warner Bros.